BUARI Karam Bani vinyl at Juno Records. Ghanaian disco-funk stalwart Sidiku Buari initially broke through in his native country in 1975. 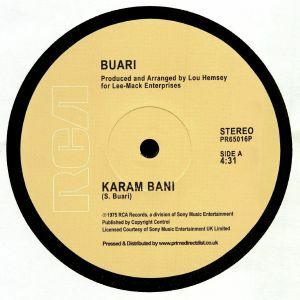 Although it was his eponymous debut album that cemented his star status, it was the single that preceded the set, "Karam Bani", that established his reputation. Here it gets a deserved reissue, complete with original B-side "Ye Koaba". The title track is something of a beast: a driving, funk-fuelled work out rich in jammed-out electric piano lines, sweaty drums and soaring, life-affirming vocals. 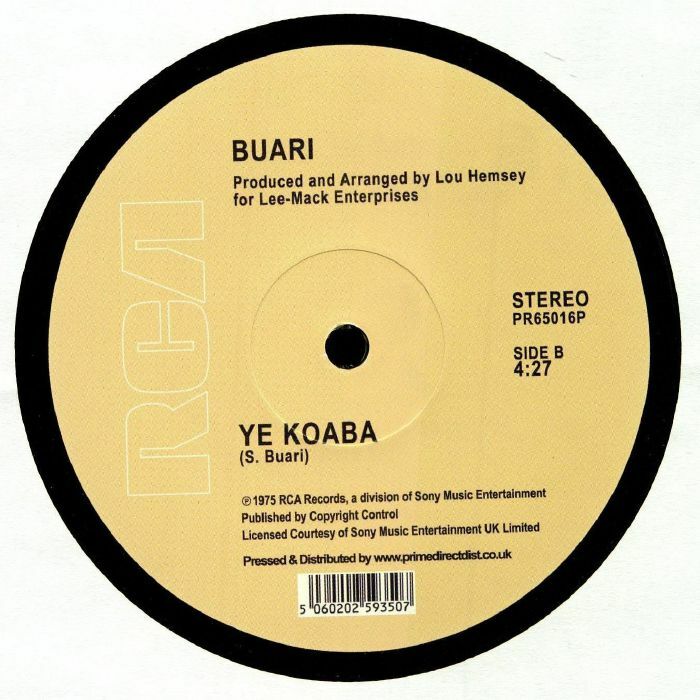 "Ye Koaba", meanwhile, is a little breezier and jolly in tone, but no less essential.